These murals, located at the corner of Seward & Lake in the Oakland neighborhood were completed in the summer of 2013. 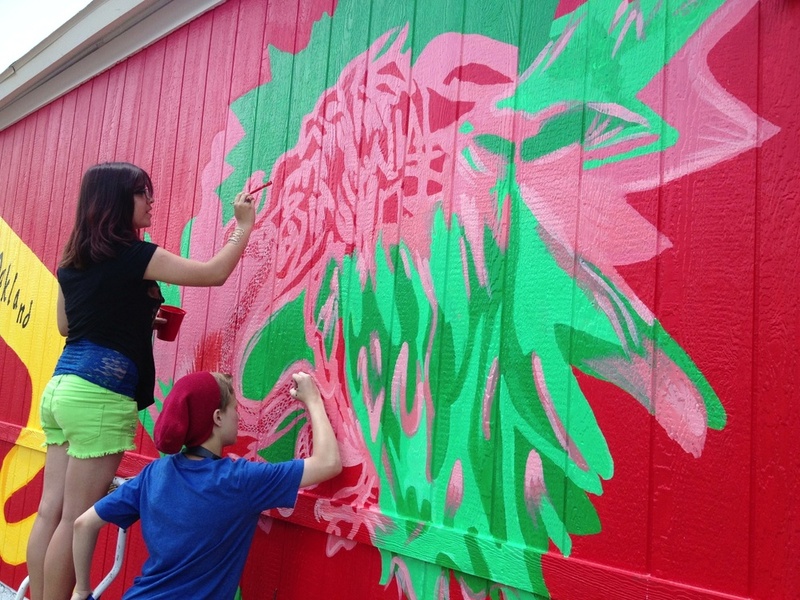 Artists Maria Guzman & Jamie Colon completed the pair of works which represent family, neighborhood, culture and connectedness. Following the completion of this mural, several murals were painted on adjacent buildings by Jamie Colon. Thanks to the Burlington Northern Santa Fe Foundation, the Kansas Creative Arts Industries Commission and a long list of individual supporters who made this project a reality, which not only makes an impact in Oakland but the success of which enabled more projects to become a reality across Topeka.